We recently stumbled across a hack that allowed the Nokia N900 to run Mac OS X. Now another mod has surfaced, but this time it's all about gaming. Polish developer Tomasz Sterna has succesfully managed to get the PlayStation 3's Sixaxis controller to talk to Nokia's Maemo 5 smartphone, which is handy considering the N900's growing emulation scene. 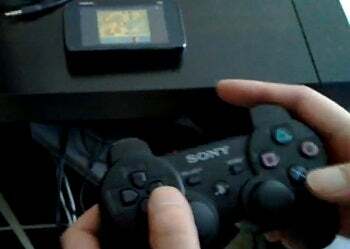 The Bluetooth mod, which can be seen in action below, pairs the N900 and PlayStation 3 controller, allowing owners of both gadgets a unique way to control their mobile games collection. Want to give the mod a try? Tomasz has posted instructions on his personal site, but be careful: He warns that the hack is not for novice users.